Streams within the seemingly endless valleys and ridges in the Frank Church Wilderness converge to form the Middle Fork of the Salmon River. Generally, by the time the flow reaches Boundary Creek, its volume is enough to launch rafts. Several miles downstream a second option is available for launch at Indian Creek. 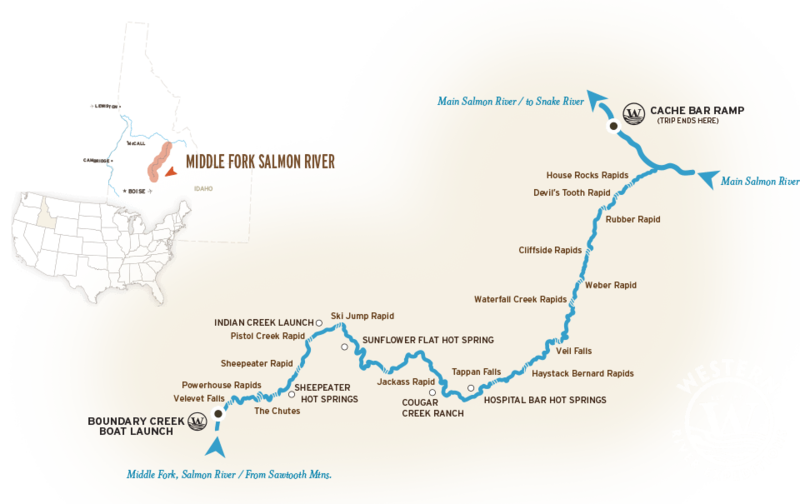 The Middle Fork gains momentum with every side stream, and flows north to bisect the Main Salmon River, hence the name "Middle Fork".